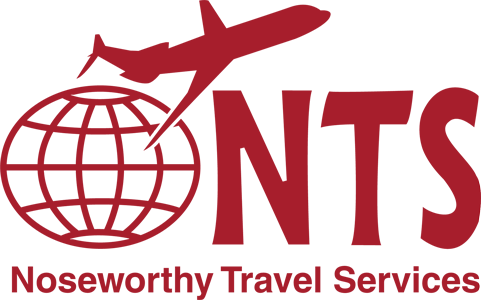 .BIBLE - American Bible Society 348 The .BIBLE Internet ministry is a part of American Bible Society(ABS), a Christian ministry that has equipped people to engage with God’s Word for over 200 years. 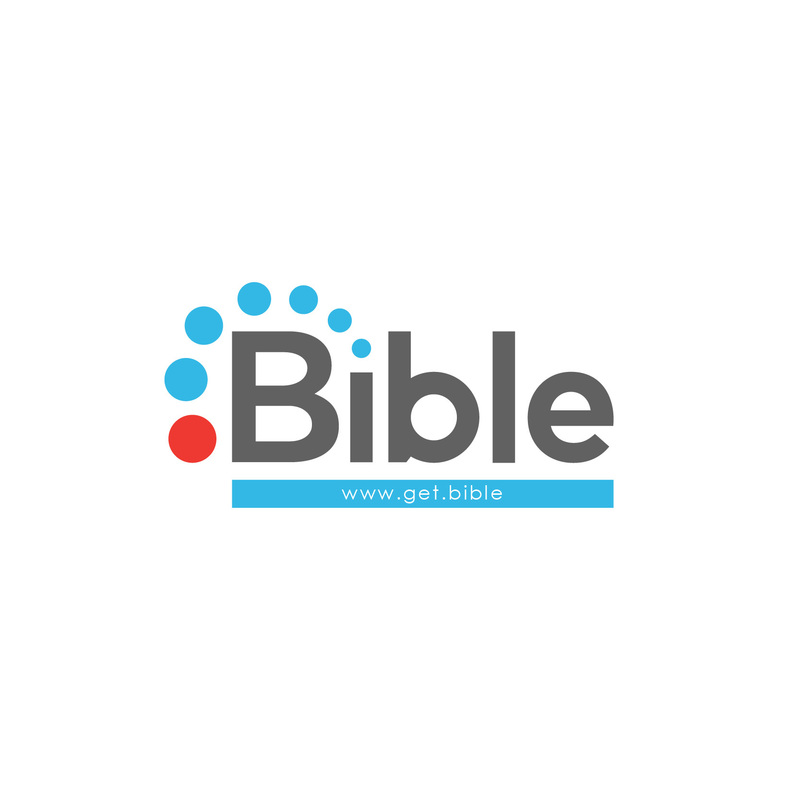 ABS and its ministry partners launched the new .BIBLE top-level domain to help Bible-inspired websites and microsites establish clarity and instant association of their brand with the Bible. Visit nrb.bible or stop by booth #348 to learn how you can join this growing community today! 24/7 News Source (a Div. of Total Traffic Network) 814 24/7 News Source is a national news organization that provides information to over 900 affiliates around the clock, 365 days a year. Along with the text, affiliates receive more than 1,000 audio cuts daily in the categories of News, Sports, Entertainment and Show Prep. Aberdeen Broadcast Services 613 Aberdeen Broadcast Services has been a proud member of National Religious Broadcasters since 2001 serving ministries large and small. 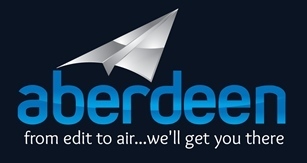 Aberdeen has branched out from being just a captioning company to much more—proving final tv station transcodes and program delivery, as well as multi-language translation services. 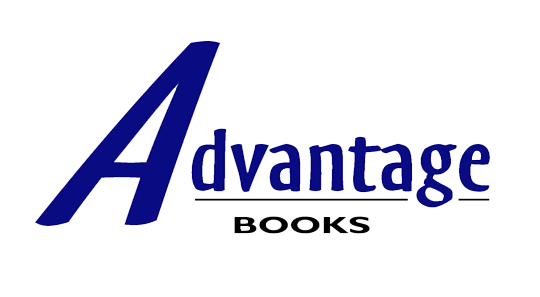 Advantage Books 211 Advantage Books is a Christian owned and operated royalty-based publishing company since 2001. We utilize the latest publishing technologies to create paperbacks, hardcovers, Apps, and eBooks that are available anywhere books are sold. Current Print distribution: The United States, Australia, Brazil, China, Germany, India, Italy, Poland, Russia, South Korea, and the United Kingdom. eBook distribution in 51 countries around the world. We specialize in publishing Pastors and Christian leaders in all publishing categories. 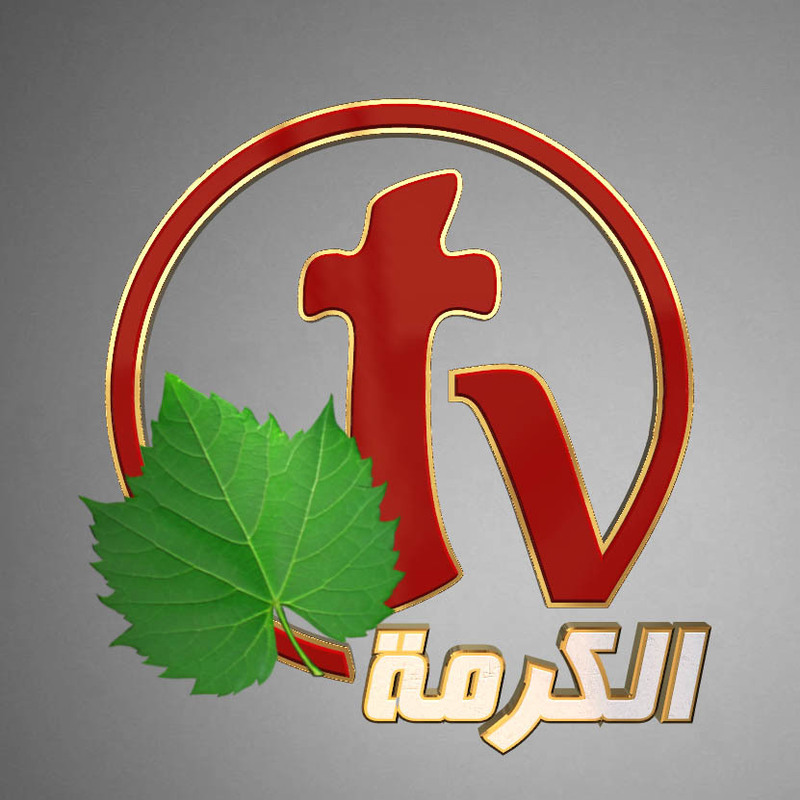 Alkarma TV 142 Alkarma TV (the Vine) is 24/7 Arabic Christian Satellite TV that broadcasts the powerful uncompromised salvation message with Christ's love to Arabic speaking people around the world, so that they accept Christ as a savior. Alkarma TV produces and airs a variety of high-quality programming focused on evangelism, discipleship, prayer, women, youth and praise. We broadcast the gospel on 14 Satellites to Middle East and around the world. All Social, Inc. 425 All Social is a new social media platform launching in March that is an alternative to traditional social media. Amazing Facts Ministries 418 Amazing Facts is a multimedia ministry dedicated to sharing the gospel and the three angels’ messages of Revelation 14. Through television, radio, websites, publishing, live evangelistic and revival events, Bible schools, and more, Amazing Facts has been reaching the farthest reaches of the globe with life-transforming Bible truth—teaching people about Jesus and how they can reach others for His kingdom. For more than 50 years, all this has been made possible by faith through our dedicated staff, volunteers, and donors. Amazing Facts is based in Sacramento, Calif., and can be seen on TBN, Daystar, Lifetime, and many other networks. 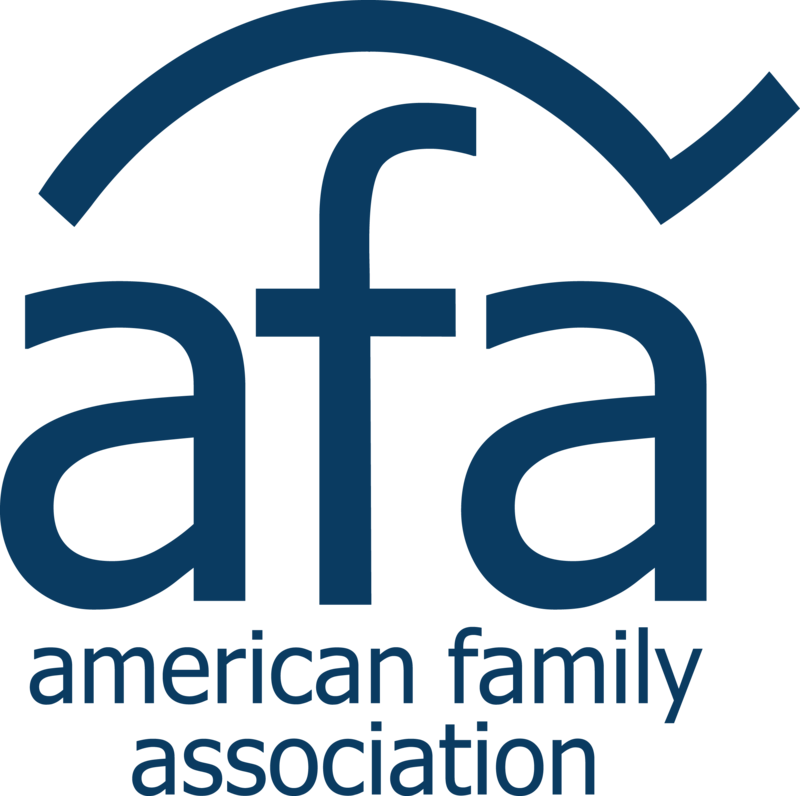 American Family Association 419 The mission of the American Family Association is to inform, equip, and activate individuals to strengthen the moral foundations of American culture, and give aid to the church here and abroad in its task of fulfilling the Great Commission. American Heritage Girls Inc. 622 American Heritage Girls is the premier national character development organization for girls ages 5 to 18 that embraces Christian values and encourages family involvement. 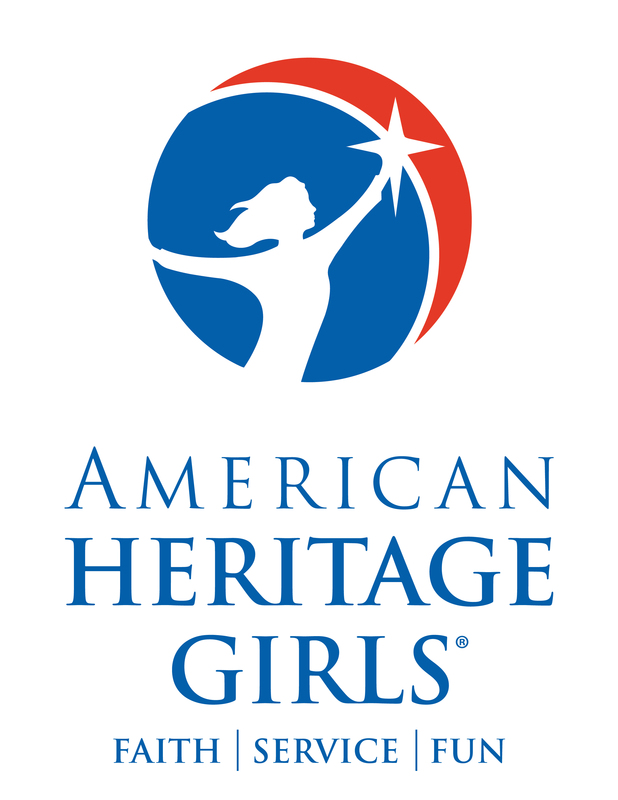 Founded in 1995, American Heritage Girls fulfills its mission of building women of integrity through service to God, family, community, and country through a balanced and holistic program. 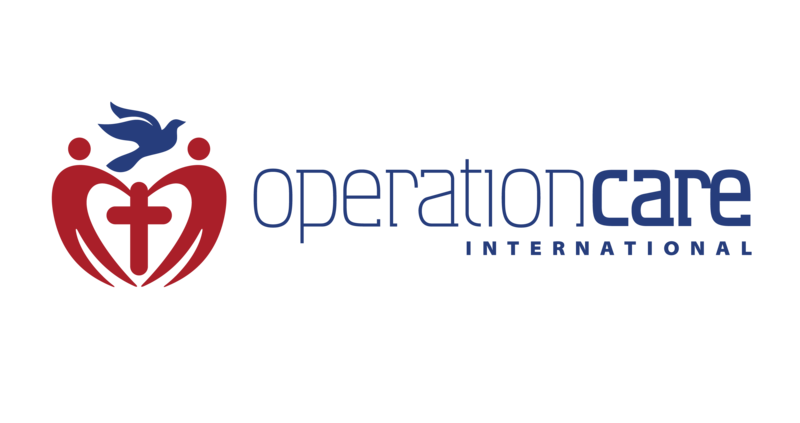 American TeleCenters, Inc. 646 We have operators standing by here in the US 24x7 to answer your donor's calls and take donations, orders, seminar registrations, etc. We've served NRB members for over 20 years. 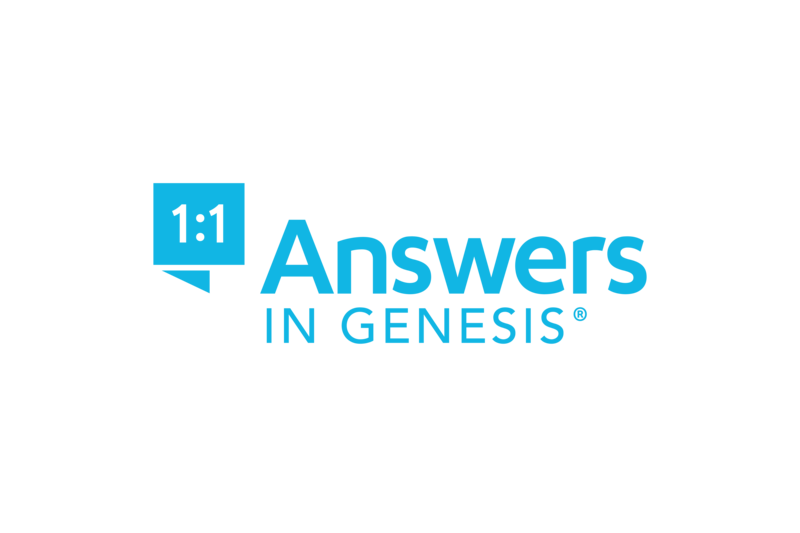 Answers in Genesis 518 ANSWERS IN GENESIS, near Cincinatti, is the world’s largest apologetics (Christianity-defending) ministry. This non-profit, est. 1994, by Ken Ham, includes a daily radio program heard on nearly 1,200 stations, an award-winning website (www.AnswersinGenesis.org), subscriber-based magazine, the Creation Museum, and the Ark Encounter, a Bible-themed attraction featuring a life-sized Noah’s ark. 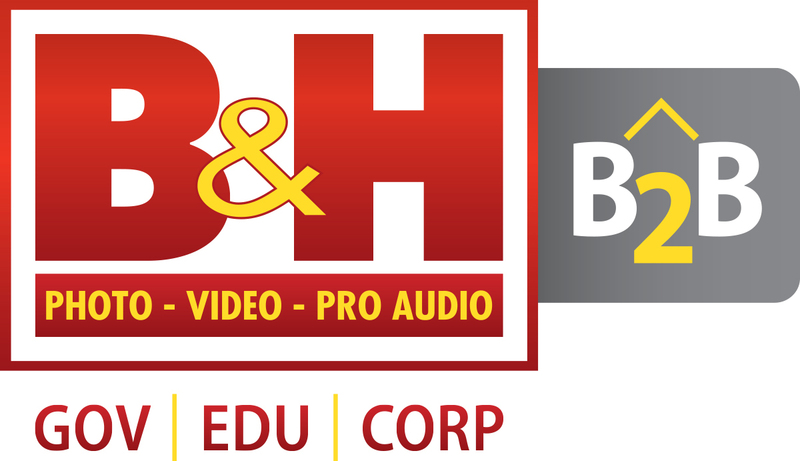 B&H B2B 138 B&H B2B offers money savings and easy purchasing options for House of Worship clients on our full line of technology products including photo, video, pro-audio, surveillance, computers, peripherals, projectors and other audio/visual equipment. We sell the products you need with the advice to help you succeed. Baker Publishing Group 745 Grand Rapids, MI based Baker Publishing Group is an evangelical Christian company focused on publishing writings that accurately represent Christianity’s historic past to better serve the diverse interests and concerns of evangelical readers. 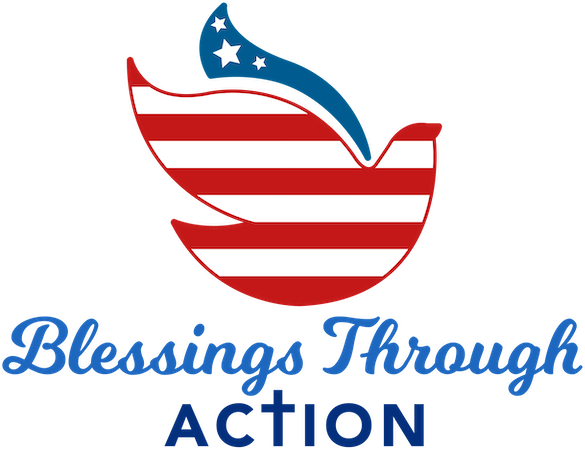 Blessings Through Action 539 Blessings Through Action is a faith-based organization that has built an exciting new social media application for all Christians. Our ACTION Place is a social media platform that allows Christians to share their faith, and their commitment to taking action to ensure America remains a strong Christian nation. Blubrry Podcasting 210 Blubrry's solution, including WordPress, hosting, stats, support, etc., is trusted by numerous religious organizations worldwide, providing all levels of complete professional tools and services. Blubrry is the first company certified by the prestigious IAB Podcast Statistics Compliance program. Founded in 2005, creators can distribute via Apple, Google, Spotify, Stitcher, and more. Broadcast Electronics 623 Broadcast Electronics (an Elenos company) is a manufacturer of RF transmitters, Marti Electronics STL and RPU equipment, and developer of the AudioVAULT radio automation system. Broadcast Supply Worldwide 413 At BSW, we believe everyone deserves to be heard. From the console to the transmitter, and beyond. Serving you since 1973. We know broadcast. 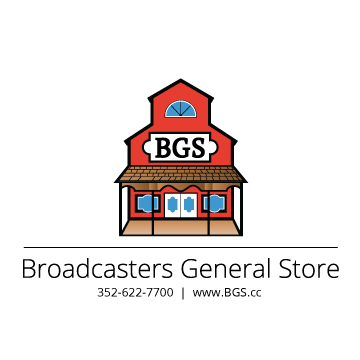 Broadcasters General Store, Inc. 513 Since 1979, we have supplied equipment to the broadcast industry ranging from legendary stations to the smallest facilities. Whether it’s a complete studio rebuild or a handful of connectors, BGS takes care of everything. Bullhorn 833 Unlike other listening apps, Bullhorn® is making podcasts available to all. 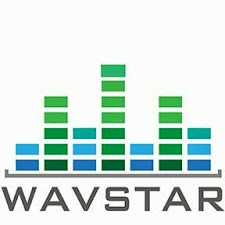 This new app includes a robust library which includes hundreds of thousands of podcasts across a variety of categories. Bullhorn is making podcasts available to everyone with the unique ability to dial-in without having to use cellular data, streaming or by reading voice-to-text transcriptions. 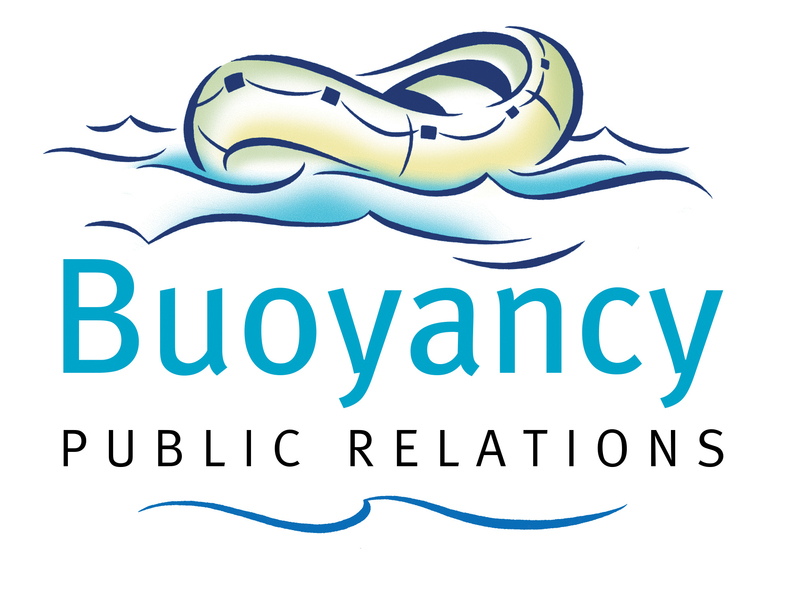 Buoyancy Public Relations 139 Buoyancy Public Relations is a boutique PR firm that specializes in working with Christian authors to help them get discovered and especially values connecting them with Christian media to share their message. 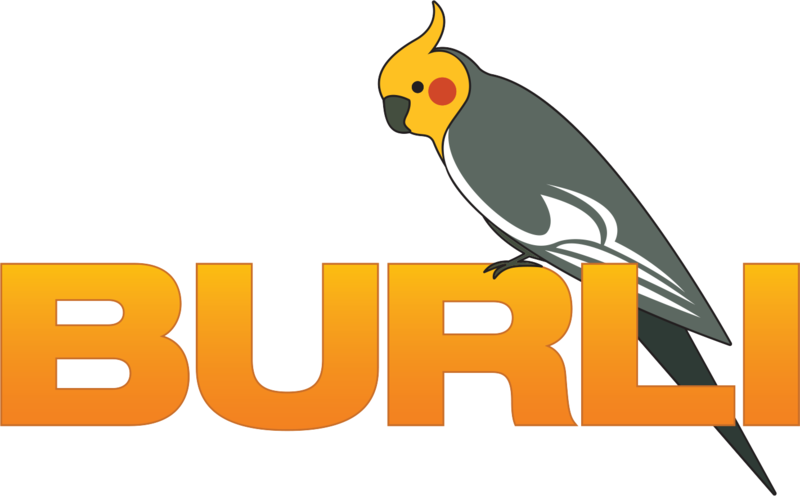 Burli Software Inc 817 Burli Software is a market leader around the world, with over 20 years pioneering and innovating digital newsroom systems designed to help its customers capture, create, edit, and publish stories. These are tools created for journalists, by journalists. Cactus Game Design, Inc. 130 We are a publisher of Bible based board games and card games and the master distributor for the faith based toys for Beverly Hills Teddy Bear. Cappital 121 At Cappital, we build on-time and on-budget custom software solutions in the form of mobile and web-based applications. CARS, Inc. 224 Charitable Adult Rides & Services (CARS) is a turn-key fundraising solution that facilitates successful vehicle donation programs for thousands of nonprofits nationwide. CBN News 247 Hispanic NRB members founded ComunicadoresUSA to support Spanish-speaking communicators with professional development tools, including monthly webinars and a library of online workshops at www.ComunicadoresUSA.org. We invite Hispanic churches and broadcasters to connect, equip and inspire their media staff at the annual Communicators Summit in Miami, August 7th, 2019. 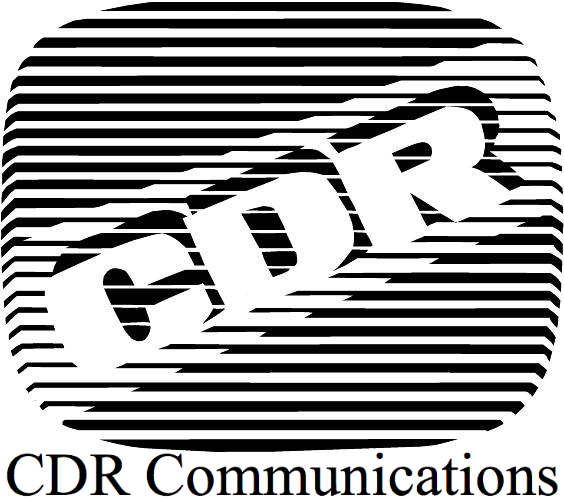 CDR Communications, Inc. 803 For over 35 years, CDR has created life changing, award-winning productions! Our media products help our clients raise funds while communicating their messages. We have produced seven TV and twenty-five radio series. Our professional staff have worked to touch audiences using creativity, the latest technology, original music, and celebrity talent. Christian FM Media Group 709 Are you Listeners Talking about your Personalities? Do they linger in the car to hear what they will say or jump on Social Media to connect? No open mic should ever be wasted. Come see us at our booth to learn more. Christian Friends of Yad Vashem 725 Christian Friends of Yad Vashem (CFYV) was established in October 2006 in cooperation with the International Christian Embassy Jerusalem (ICEJ) to raise awareness about the Holocaust and its universal lessons in Christian communities. Today CFYV is active in many countries worldwide and works with a variety of denominations and Christian ministries to build bridges between Jews and Christians. 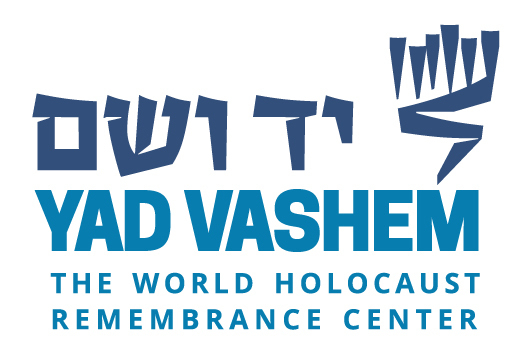 We firmly believe in Yad Vashem's motto: Remembering the Past, Shaping the Future. Christian Indie Publishing Association (CIPA) 231 We represent, promote, and strengthen small publishers and independent authors producing books for the Christian marketplace. Cobalt Digital Inc. 809 Cobalt Digital designs and manufactures award-winning 12G/3G/HD/SD conversion, throwdown, and multiviewer technology for the production and broadcast television environments. Comrex Corporation 413 Since our incorporation in 1961, Comrex has been in the vanguard of technical development, making use of new and innovative technologies for radio and television well before they hit the mainstream. Our ACCESS and BRIC-Link IP audio codecs make use of sophisticated audio transmission technology to ensure reliable broadcasts over challenging IP networks. We then used our years of experience in IP to develop our CrossLock tools to handle the unique demands of transmitting video, with the development of our LiveShot IP video technology. Throughout it all, we have continued to refine our telephone hybrid technology with products like VH2, and break new ground with products like Opal. Visit Comrex at Booth 413 in partnership with Broadcast Supply Worldwide! Crossway 323 Crossway’s purpose is to publish gospel-centered, Bible-centered content that will honor our Savior and serve his Church. We seek to help people understand the massive implications of the gospel and the truth of God’s Word, for all of life, for all eternity, and for the glory of God. DA Technology 706 A few organizations just connect you to a producer and vanish. Abandoning you buried in miscommunication and quality issues. That is not the situation with DA Technology. We put correspondence and quality first, and we don’t compromise. DA:NCE(dance awareness: no child exploited) 133 DA:NCE(dance awareness: no child exploited) seeks to bring awareness and education to adults in order to stop the hypersexualization of children in dance by creating educational materials that allow for their safety and protection in all dance environments. Datavideo Corp 115 Datavideo is a manufacture of live video production equipment including PTZ cameras, switchers, recorders, streaming encoders, converters and much more. Datavideo is a one-stop shop when it comes to live video production gear. Deaf Church ~ The App 148 Deaf Church is an App platform that hosts several deaf ministries with hundreds of Christian messages in Sign Language. We will be expanding our channel in the near future to an App called Planet Deaf creating content of news, weather, sports, entertainment & childrens' content. Dielectric, LLC 145 Dielectric builds and delivers antennas and RF systems optimized for every TV and FM radio broadcast need since 1942. Dielectric is an innovative, customer-centric organization with a long history of engineering excellence in designing and manufacturing high-quality broadcast solutions. Dielectric maintains its legacy of advanced, precision RF solutions while building in features that prepare broadcasters for the future. DonorDirect.com 422 Making sure you’re effectively tracking and managing your broadcasts is a must. 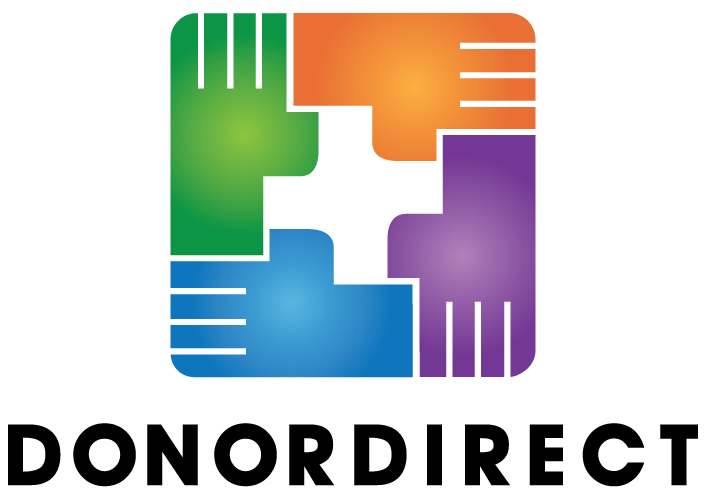 DonorDirect provides the only all-encompassing, unified donor management software developed exclusively for ministries. With our device-independent platform and cloud hosting, you will have the tools to engage your supporters and maximize your productivity. 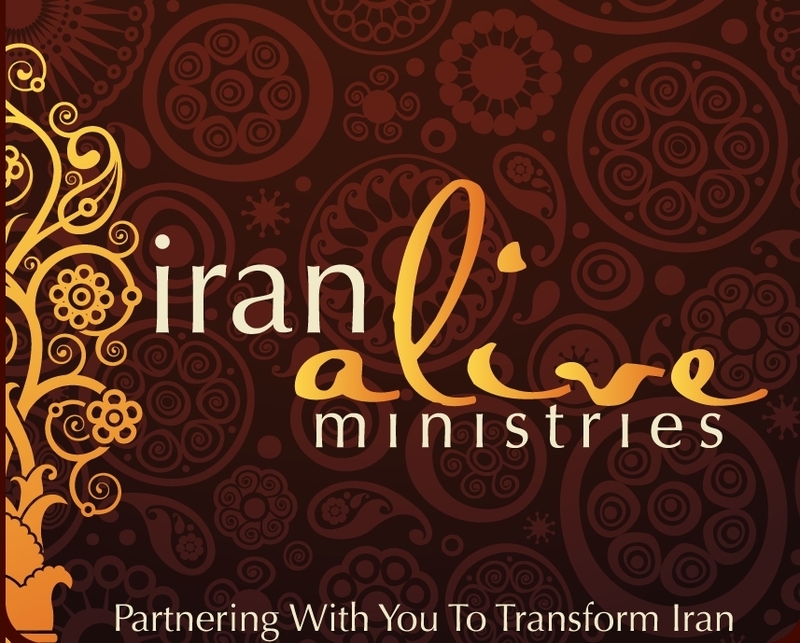 We’re proud to provide the software support powering world-changing ministries like K-Love/Air1, In Touch Ministries, Focus on the Family, Billy Graham Evangelistic Association, and Samaritan's Purse. Encompass Digital Media 214 Encompass is a global technology services company supporting faith-based organizations with the delivery of their programing across television, digital platforms and radio. 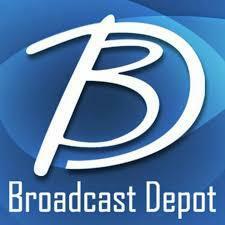 Services include radio, TV channel playout, digital media (OTT), global distribution and live events. For more information, please visit www.encompass.tv. Faith Radio 721 Faith Broadcasting is a network of 8 Christian FM outlets headquartered in Montgomery, Alabama, and serving sections of Central and South Alabama, Northwest Florida, and Southwest Georgia. It is also heard online at www.faithradio.org. Bob Crittenden of The Meeting House, heard weekdays from 4-6pm CT, is on location to record interview content. Family7 803 Family7 is a Dutch Family TV network airing 24/7 Christian content all over the country through Cable and satellite. All main cable providers carry Family7 in their package, reaching approximately 4.5 million households, which is 80% of all digital connections. 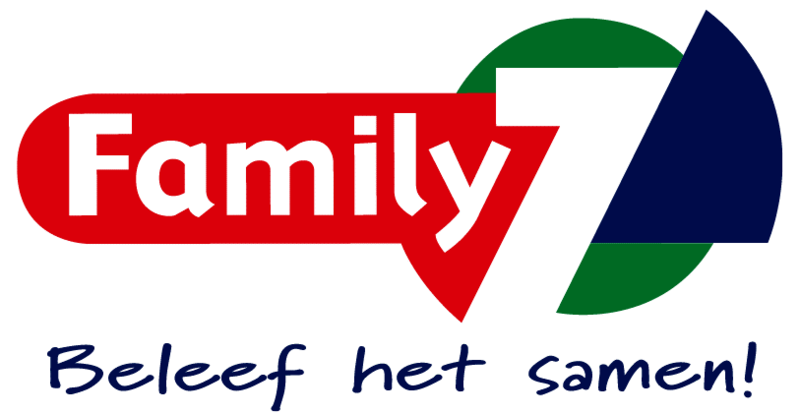 Family7 acquires TV series, documentaries, films and reality series. 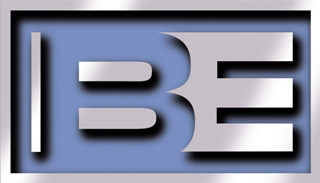 Far East Broadcasting Company 118 FEBC is an interdenominational ministry whose sole purpose is to share the Good News to the world through radio, the Internet, and emerging technologies. In so doing, it seeks to cooperate with and support existing missionary efforts and the ministry of the greater body of Christ worldwide, based on a common belief in the Bible as the infallible, authoritative Word of God. 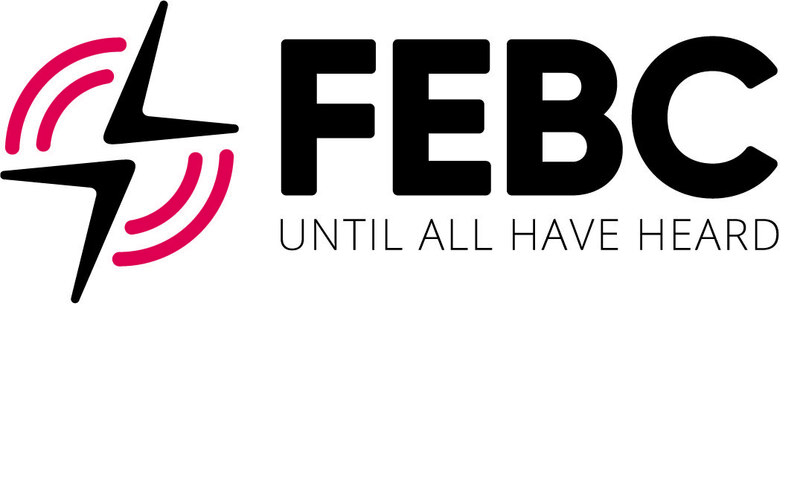 Fellowship of European Broadcasters 346 FEB connects European Christian Broadcasters and individuals in Broadcasting and Communications with our "Global Media Partners" throughout the world. Our Email News "Snippets" circulates broadcasting news and information from all parts of the world to 5000+ Individuals in over 100 countries in the world. Finney Media 829 Finney Media works to help media creators connect heart to heart; with programming consulting, research, digital strategy development, program development, placement, talent coaching and the widely used Christian format survey, the Finney Media Why Listen?® Survey. Galcom International 703 Galcom International's mission is to multiply missionary impact through audio technology. 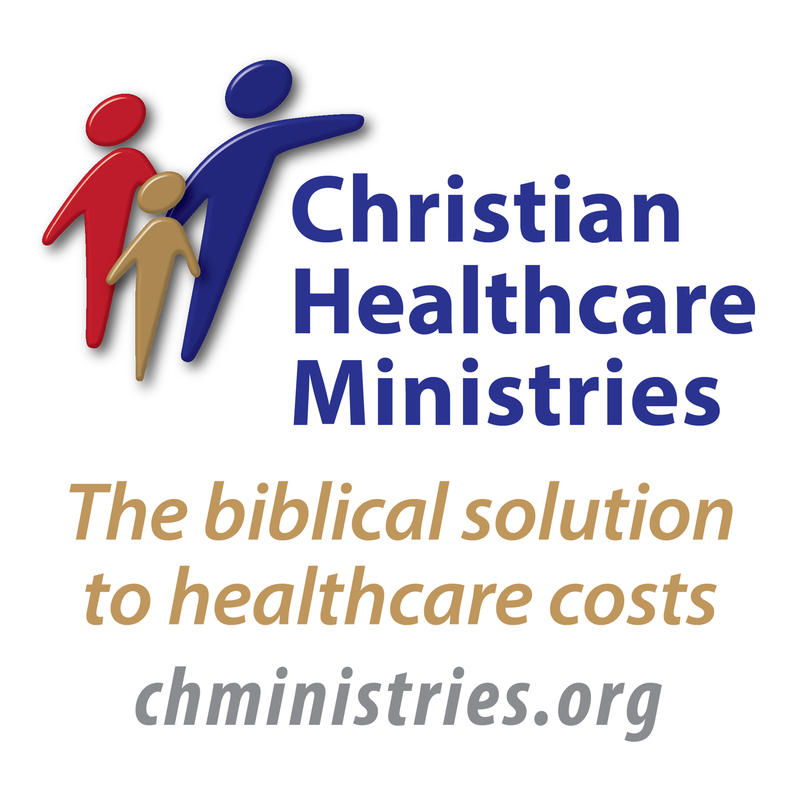 Our strategy is to provide durable technical equipment for communicating the Gospel worldwide. Global Ministries Foundation 318 Global Ministries Foundation sponsors gospel centered ministries in over 40 countries around the world. 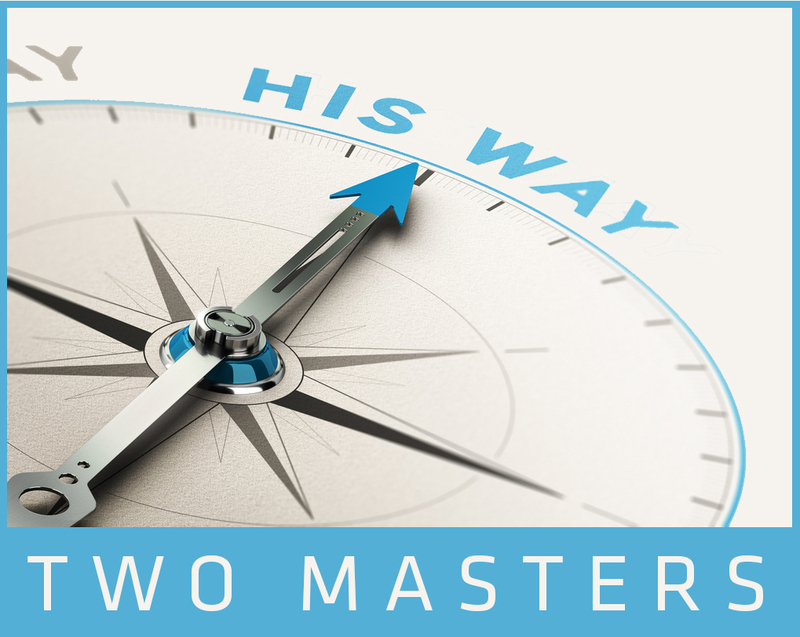 In 2014, GMF’s radio ministry was developed entitled Ministry in the Marketplace. Each week, we dig deep into God’s word while featuring inspiring stories from people who are making a difference in their marketplaces. Glorystar Satellite Systems 308 Glorystar is largest private distribution network of Christian and family friendly content. Glorystar brings Christian Television and Radio via Satellite and Internet Streaming, making a dynamic duo able to reach everywhere. GOOD TV, Gabriel Broadcasting Foundation 102 Founded in 1998, GOOD TV is the first Chinese Christian TV network in the world. GOOD TV’s mission is “spreading the gospel’s message of faith, hope, and love to Chinese people around the world.” GOOD TV airs two channels and produces a variety of programs aimed at meeting the needs of different audiences, ranging from people who oppose Christianity to those seeking God’s truth. Greater Than I Ministries, Inc. 209 Greater Than I Ministries (GTI) is a non-profit agency providing worldview teaching products in the form of Christian educational videos, textbooks and books; to assist the Christian church community in the “equipping the saints for the work of the ministry”. We provide 28:30 episodes and 10-minute clips for broadcast. Harvest Ministries, A New Beginning 639 The mission of Harvest Ministries and Pastor Greg Laurie is to “Know God and Make Him Known.” Harvest utilizes the media platforms of radio, television, cinema and the internet, produces and distributes print and digital resources, and holds large scale evangelistic events to bring the gospel to this generation. 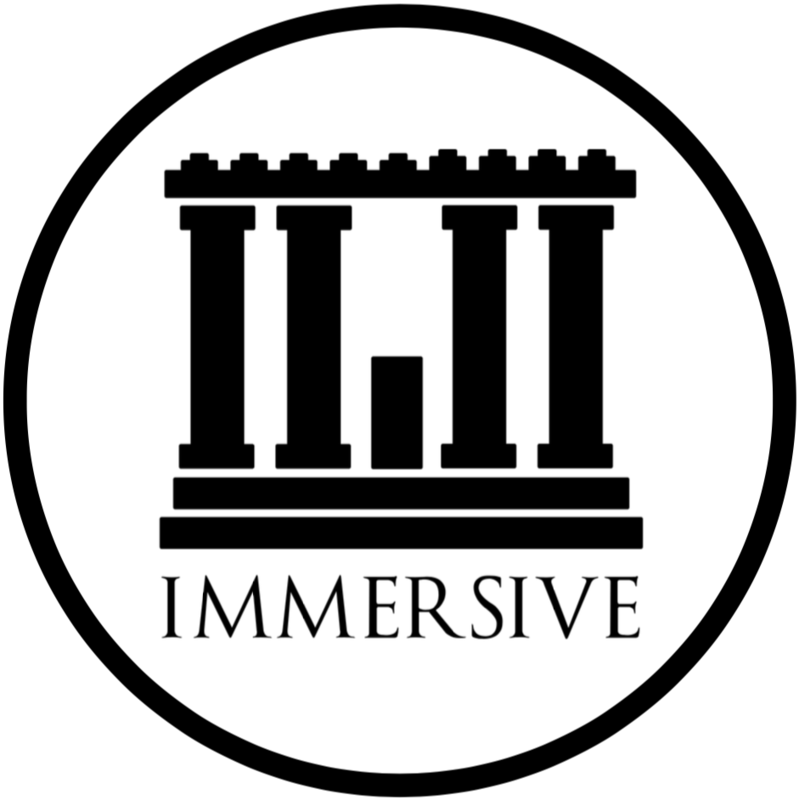 Immersive History 349 Ancient Jerusalem in Virtual Reality! 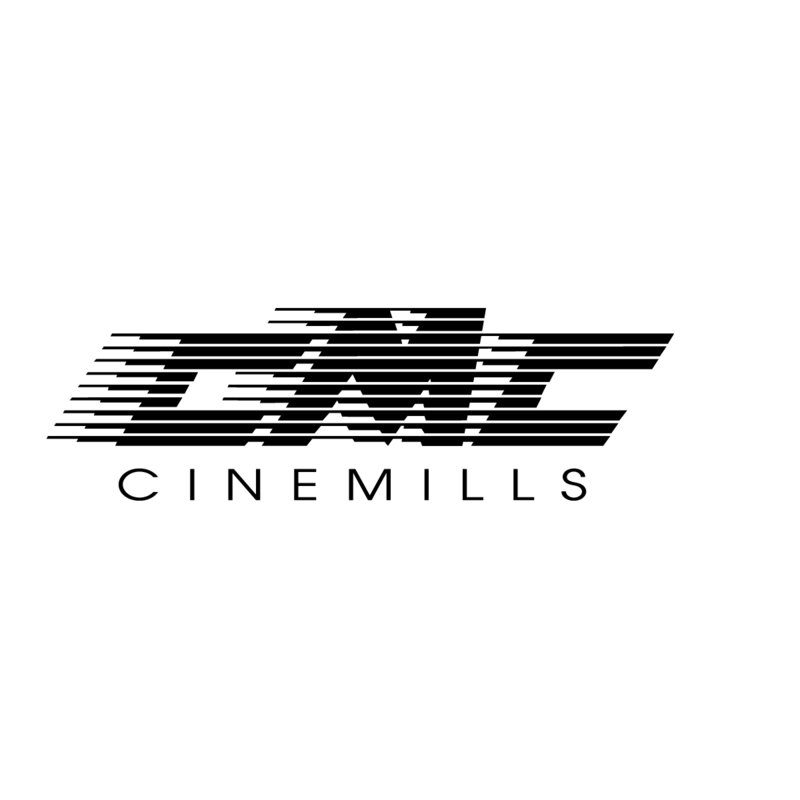 For more than a decade, our team members helped bring to life major blockbuster movies including Avatar, Avengers, Transformers, and more. Immersive now uses those incredible skills, in collaboration with historians and scholars, to bring the past to life. Explore immersive worlds by donning a Virtual Reality headset or visualize the past through the lens of your smartphone in Augmented Reality. Join our extraordinary journey and discover Ancient Jerusalem! Isik Abla Ministries 624 Işık Abla Ministries brings the light into darkness to set the captives free in all nations! Işık’s programs are broadcast and streamed online in over 150 countries on six continents in five languages- Turkish, Arabic, Farsi, Urdu and English- available to more than 700 million people. 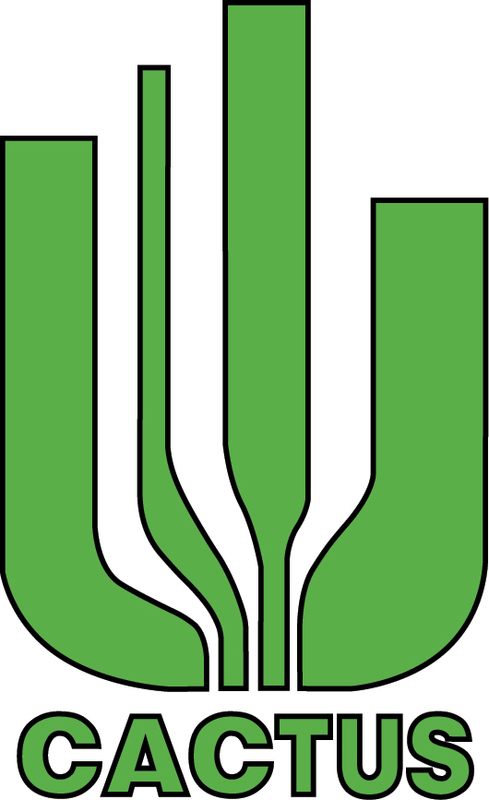 Israel Ministry of Tourism (IMOT) 631 Israel Ministry of Tourism: (IMOT) is Israel's government tourism board. 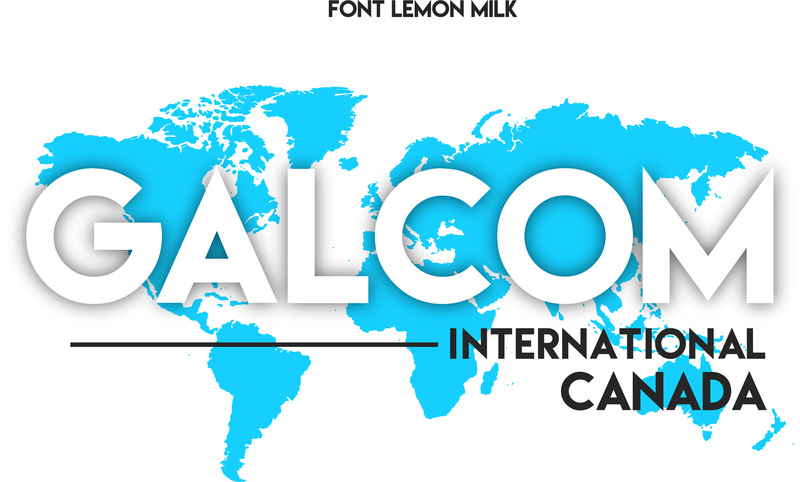 Our mission is to promote, brand, and market travel to Israel through a myriad of channels. With five regional offices throughout North America and a national headquarters in New York, we are here to assist you and your clients in exploring everything Israel offers. 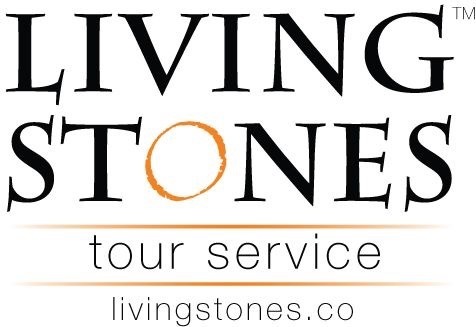 In addition to advertising, our activities include media relations, marketing, and support and education for tour operators, travel consultants, airlines and other travel partners. IMOT participates in trade shows and general conferences offering many opportunities for the travel industry to turn Israel into your product. SHALOM! Jesus Cares Ministries, Inc. 144 Courageous! Fearless! Uncompromising! God called JESUS CARES MINISTRIES INC. Foreign Missionaries Martin and Catherine Lombardo back to the USA from Rome, Italy to proclaim "God says: Marriage One Man One Woman" in the streets and churches in all 50 states. Carrying God's Word on MARRIAGE from Genesis to Revelation to the President, Congress, state and local governments, colleges, high schools, grammar schools and to the people of the USA. 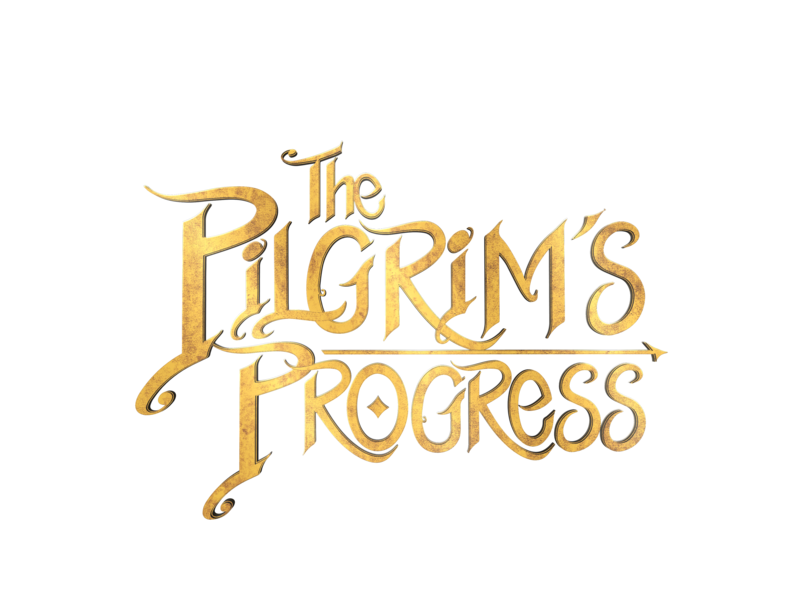 Kingdom Studios LLC 503 From the creators of I CAN ONLY IMAGINE and WOODLAWN, in partnership with Lionsgate™ , comes Kingdom, an entertainment company 10 years in the making. Kingdom will be presenting an exclusive first-look of its new slate of films, an unprecedented roll-out of content for the faith entertainment space, at Wednesday’s Super Session. LibsynPro 610 LibsynPro offers the fastest & most reliable Podcast hosting with industry best statistics, Smartphone Apps, premium subscription service and multi-destination publishing to iTunes, Spotify, iHeartRadio, Facebook, Twitter and Youtube. LibsynPro is used by the biggest names including - Joyce Meyer, Dave Ramsey, Kenneth Copeland and over 57,000 other podcasts. Lindy & Friends 125 Lindy & Friends or abbreviated “L.A.F.” (Laugh) company, is made up of a “family” of friends who are inspired by God’s love for children. 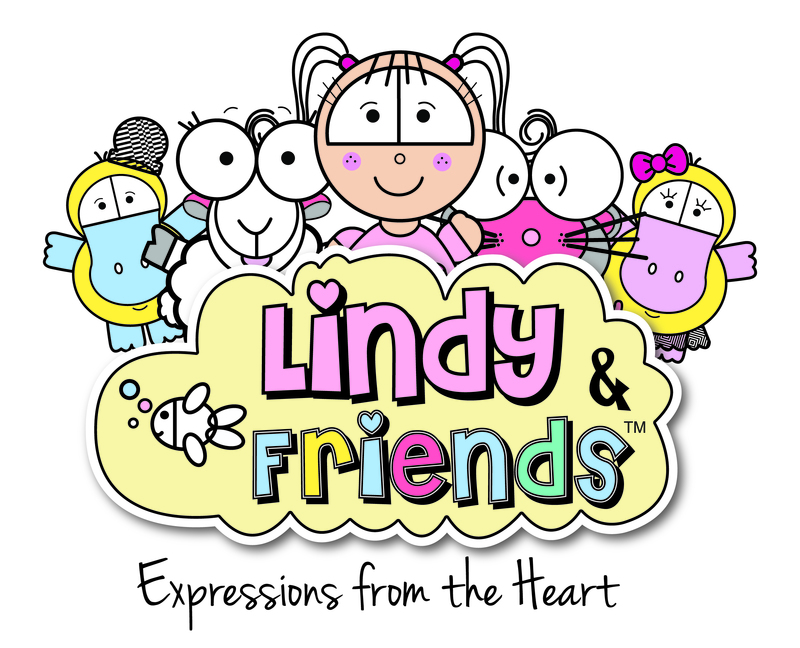 Lindy & Friends goes around the world sharing a message of love, peace, and hope through each unique product. 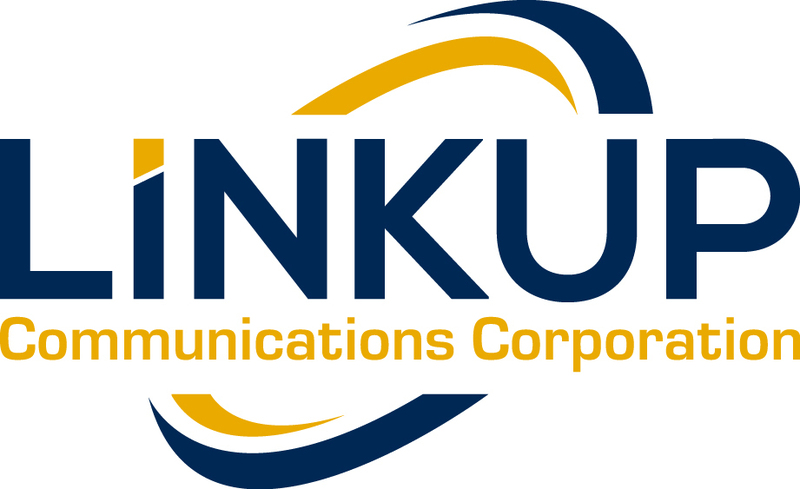 LinkUp Communications Corporation 713 LinkUp Communications Corporation is a broadcast technology company with an unsurpassed commitment to the customer. From design to product integration to installation, we take on technology challenges. Not only do we specialize in the transmission and delivery of audio, video and data, we work closely with all the major manufacturers - providing innovative equipment tailored to your specific requirements. Little White Dog Productions 831 Genesis - The Biblical Music Experience. The modern day musical of the first 10 Chapters of Genesis comes to life! Come experience the experience. Living Waters 128 Living Waters popular “Way of the Master” TV program has just launched its fifth season. It is cohosted by Ray Comfort, Emeal (“E.Z.”) Zwayne, and Mark Spence. 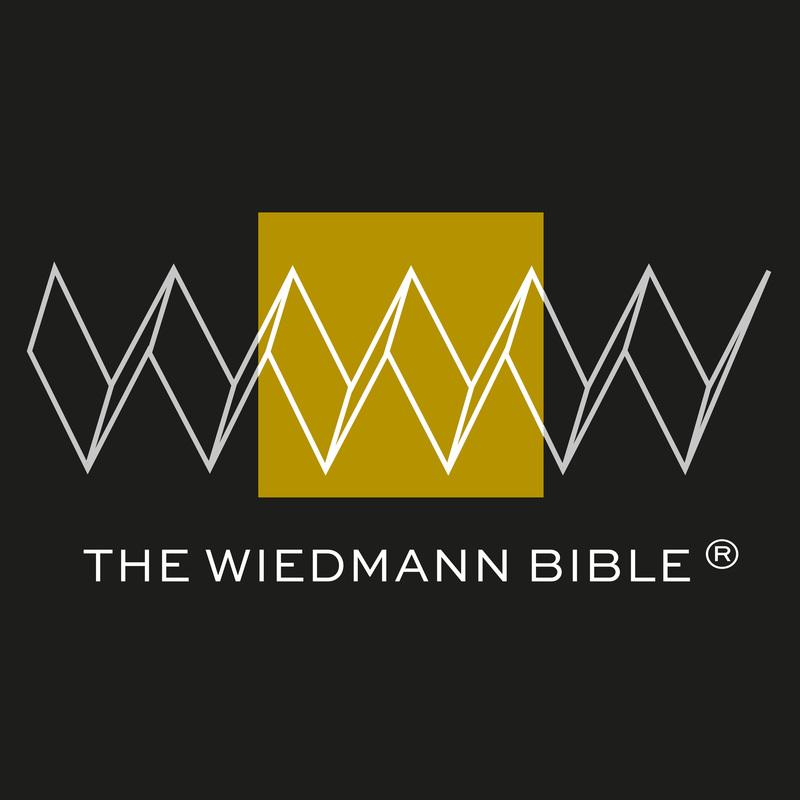 The program, airing in over 190 countries, offers a unique and fascinating twist on reality TV with its focus on biblical evangelism and apologetics. LUMO 819 LUMO is a visual translation of the four Gospels, developed to truly engage people with Scripture. The films are the first ever to use word-for-word, unabridged Scripture paired with stunning visuals to share a realistic portrayal of the life of Jesus in first-century Palestine. Designed for extensive translations, it’s voiceover narration promotes biblical literacy for people of any language or culture. Today, LUMO has been translated into 40 major and over 125 minor languages. Magdala 524 Magdala at the shores of the Sea of Galilee has become a leading tourist attraction for Christian groups visiting Israel and an ideal Gospel broadcasting and filming location. 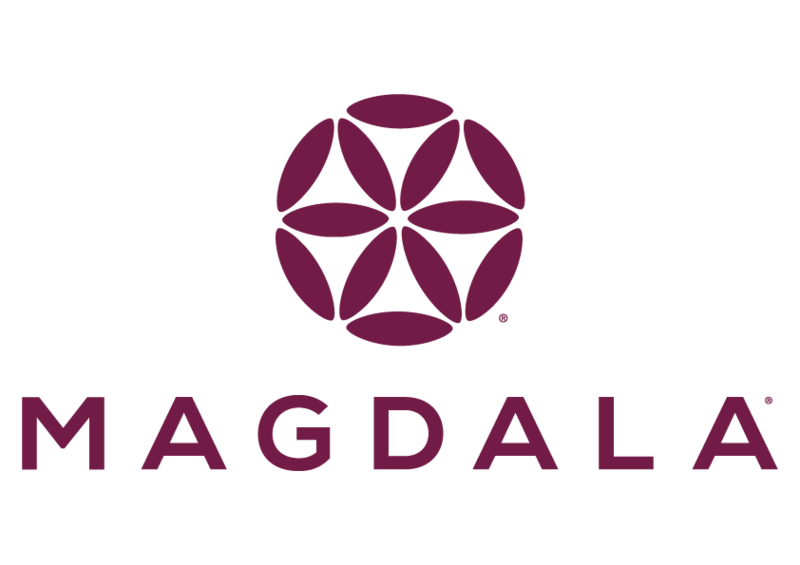 Magdala is known as the Crossroads of Jewish and Christian history. MegaVoice 802 MegaVoice, creator of the world’s first audio Bible, supplies the Church with secure, solar-powered audio technology to “break the silence” for every tribe, language, and people, allowing them to hear and understand the Gospel. 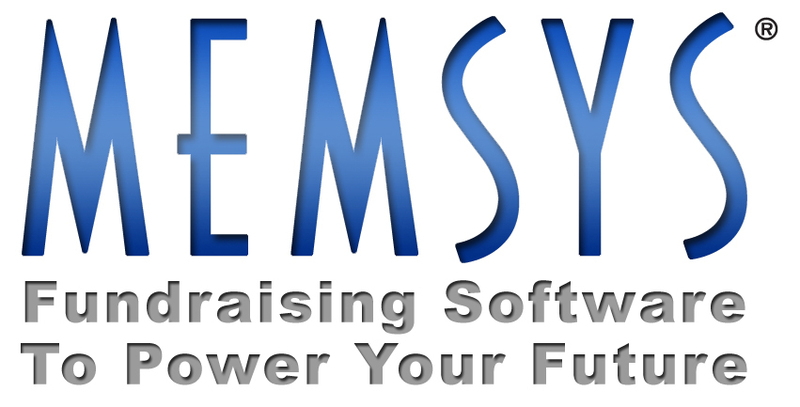 MemSys (Herlick Data Systems) 109 Since 1985, MemSys has provided donor-supported media with robust membership software tools and web services. MemSys supports: segmentation, personalization, management reporting, major donor cultivation, sustainer tracking, upgrades and processing (card/EFT), online pledge and donor profile forms, and much more. The MemSys support team has response desks on the west and west coast, winning kudos from stations across the country, including Loma Linda Broadcasting Network. Please visit Michael and Nick at the "MemSys" booth (109)! MicahTek 448 MicahTek is a multi-platform service provider offering call center, fulfillment, information management and digital services to non-profit and for-profit businesses. We provide SOLUTIONS you need for the GROWTH you desire! Moody Publishers 312 Moody Publishers, a nonprofit Christian publisher founded in 1894 by D.L. 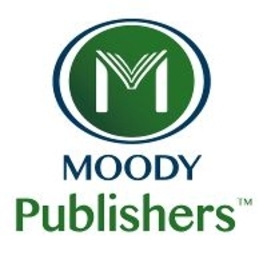 Moody, has distributed more than 300,000,000 books - from Bible commentary and reference to spiritual and relational growth. Our author partnerships include Gary Chapman, Nancy DeMoss Wolgemuth, Tony Evans, John MacArthur, Erwin Lutzer, A.W. Tozer and many more. Movieguide 126 Movieguide® reviews movies from a Christian perspective for families and works in Hollywood to redeem the media. Museum of the Bible 724 Museum of the Bible is an innovative, global, educational institution whose purpose is to invite all people to engage with the Bible. MusicMaster Scheduling 439 MusicMaster is the fastest-growing and most powerful music scheduling software for radio and music television stations worldwide. NicomUsa 245 We are a small to medium power FM Broadcasting Manufacturer with more than 20 years experience. We specialize in helping start ups and community based projects. We are known for dependable and affordable equipment. The majority of our clients work in the non-profit sector. Nightlight Christian Adoptions 141 Nightlight® Christian Adoptions is a full-service, Hague accredited, child placement agency. In 1997, Nightlight pioneered the world’s first embryo adoption program, Snowflakes® Embryo Adoption. This program empowers couples with remaining embryos to choose a family who will give birth to their adopted child. North American Mission Board 204 Imagine the impact if every Christian had ONE person they prayed for and shared the gospel with. The North American Mission Board, an agency of the SBC, presents the new evangelism campaign, Who’s Your One, in booth 204. Stop by to discover the easy-to-implement suite of tools including sermons, poster, prayer guide, book marks and downloadable resources. Noseworthy Travel Services 612 Noseworthy Travel Services is a Christian Group Tour Operator, specializing in quality customized faith-based travel experiences for 50 years. Since 1967, NTS has grown on a reputation of personal service, outstanding quality, excellent prices and high integrity. Our experience and expertise sets us apart! We partner with Christian Ministries and churches to create the trip-of-a-lifetime group travel experience, over and over! One to One 808 We specialize in front and back-end premiums for the religious market, have acquired B.A.C. & Associates effective January 1, 2018. Operation Care International 332 Operation Care International exists to glorify God. In obedience to His will, we connect impoverished children and the homeless to Jesus Christ by providing for their spiritual and physical needs through God’s provisions both at home and abroad. Panasonic System Solutions Company 105 Panasonic is a leading supplier of AV systems including a wide range of professional video cameras, switchers, streaming systems, video displays and monitors, projection systems, video walls and much more. 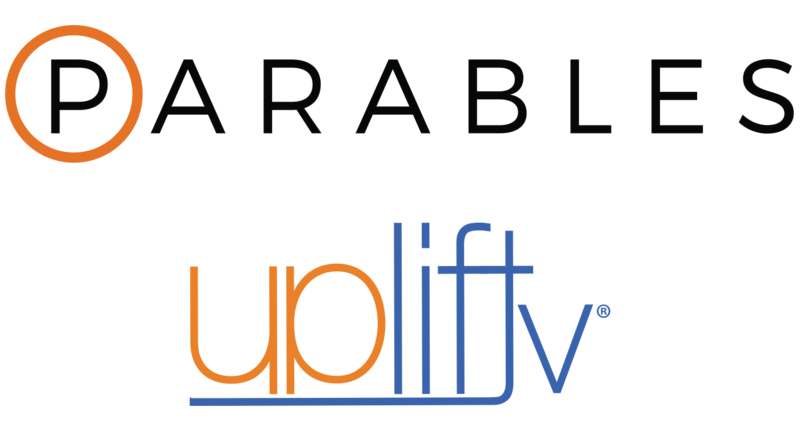 Parables & Uplift 303 Parables is a free video streaming service that offers edifying and empowering entertainment at home or on the go while encouraging faith and elevating family values. Upliftv is a faith-based network offering more movies, series and documentaries than any other faith channel, as well as a variety of TV ministries. Patterns of Evidence 702 'Patterns of Evidence' is a leading documentary film series that provides faith-affirming evidence for the Bible using a balanced approach. The series is produced by Thinking Man Films & Media. Photoboxx 708 Photoboxx provides experiential marketing solutions to faith-based organizations. Our technology encourages attendees to engage at events using social media. Podbean LLC 723 Podbean helps organizations engage their audiences and expand reach through mobile audio-video podcast communications. Podbean’s user-friendly interface integrates publishing, management, syndication, monetization and analysis tools into an easy-to-use podcasting platform. Additionally, Podbean offers tools for internal communications to members, a patron donation system and a podcast recording app. Point Source Audio / WIDER Pro 722 Point Source Audio manufactures an innovative line of award-winning miniature microphones, and in-ear headsets for audio, lighting and camera techs. Showcased at NRB will be the patented EMBRACE™ concealable mic and the new CO2 Confidence Collection of built-in redundant microphones. Also on display will be Digigram sound cards and IP audio codecs, along with AuviTran network audio converters featured by new broadcast distributor WIDER PRO. 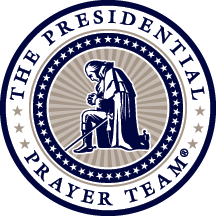 Presidential Prayer Team 213 The Presidential Prayer Team is a national nonpartisan prayer ministry, encouraging America to pray daily for our nation’s leaders and country. We believe prayer will transform our nation, one heart at a time. To learn more about our tools and initiatives, including our Pause to Pray radio feature, visit PausetoPray.org. Proclaiming Justice to the Nations, Inc. 339 PJTN has a core mission of educating Christians, Jews, and all people of conscience on the biblical mandate we have from God to support Israel and the Jewish people.  The organization has a strong commitment and media positioning in the ongoing war against the “new” anti-Semitism. Promise Keepers 122 OUR MISSION IS TO IGNITE AND UNITE MEN TO BECOME WARRIORS WHO WILL CHANGE THEIR WORLD THROUGH LIVING OUT THE "SEVEN PROMISES" TO GOD, THEIR FAMILIES AND COMMUNITY. Pure Flix Digital 619 PureFlix.com, a subsidiary of Pure Flix Entertainment, is the leading subscription video on demand service for faith, family, and fun content. Whether it’s on your television, laptop, phone, or tablet, PureFlix.com is your trusted destination for family-friendly, streaming entertainment that’s now available anytime, anywhere. Sign up today for your free, one-month trial on PureFlix.com! QNAP Inc. 645 We provide data storage for businesses and consumers, specifically Network Attached Storage. We provide storage devices with high-speed connectivity options ideal for video editing including Thunderbolt 3 and 10GbE. RadiantTV 248 RadiantTV’s half-hour HD television programs combine stunning imagery of God’s creation, life-changing Scripture passages, and serene and uplifting instrumental music. 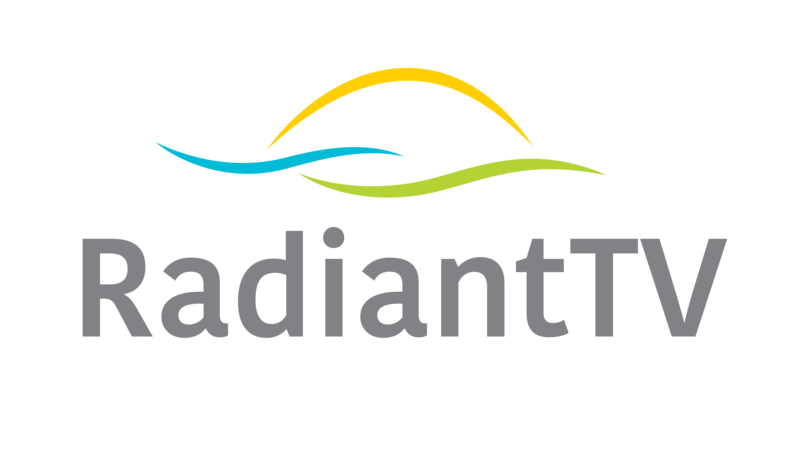 Our hope is that RadiantTV’s peaceful and calming programming will bring comfort to all viewers and draw them to worship our wonderful Creator. RCS 744 RCS has a proud history of innovation, currently holding 45 patents in the field of broadcasting. Inventors of computerized music scheduling with the legendary Selector, RCS continues to lead the way with multiple award-winning products such as Zetta radio automation, GSelector music scheduling, the groundbreaking 2GO series of mobile solutions and The Selector Cloud. The most respected names in the industry choose RCS as their software provider because the best use the best. 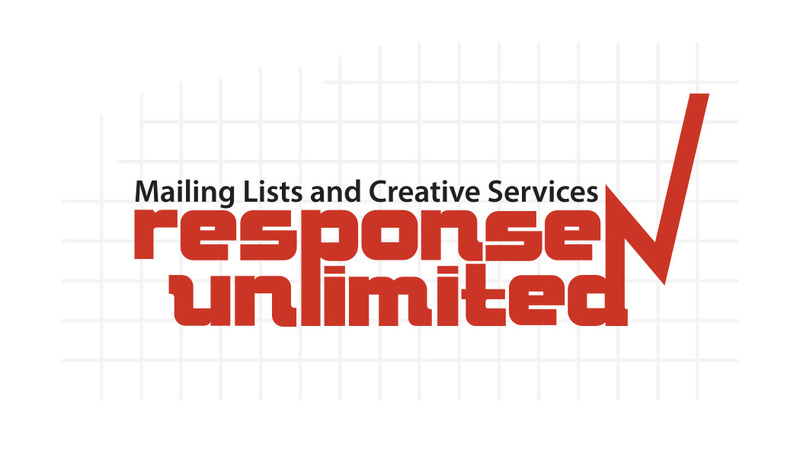 Response Unlimited, Inc. 711 Response Unlimited helps organizations grow with the least possible cost and the lowest risk. Restored Hope Network 222 Restored Hope Network was born to declare that Jesus has life-changing power for all who seek Him. Our mission: Restored Hope is an inter-denominational membership governed network dedicated to restoring hope to those broken by sexual and relational sin, especially those impacted by homosexuality. We proclaim that Jesus Christ has life-changing power for all who submit to Christ as Lord; we also seek to equip His church to impart that transformation. RF Specialties 810 The RF Specialties Group provides equipment and services to Radio and TV stations from coast to coast and in foreign countries. We can provide most everything from the studio mic to the broadcast tower and all the equipment in between. Our sales engineers have hands on experience and can help effectively address any equipment needs you may have. Remember, RF is Good for you! Rose Publishing 208 Rose Publishing, an imprint of Hendrickson Publishers, creates full-color products (award-winning books, wall charts, pamphlets, DVD-based curriculum, and PowerPoints®). They are designed for personal, church, small group, and school use, and are packed with easy-to-understand diagrams, illustrations, maps, photos, charts, and time lines to bring Christian teachings to life. 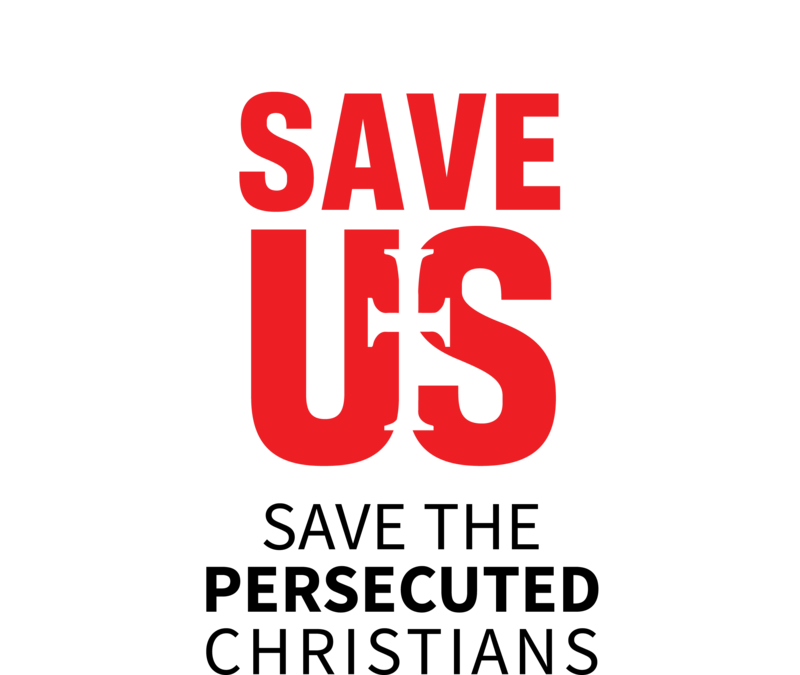 Save the Persecuted Christians 345 Save the Persecuted Christians is a grassroots movement to save lives and save souls. We educate the public on anti-Christian violence and enlist their help in: supporting those harmed for their faith in Jesus; holding those responsible accountable; and securing significant penalties on state and non-state persecutors of Christians. SCMS 412 SCMS is a privately held company that started in 1976. They are a family owned and operated company that excels in providing solutions for Radio and TV stations around the world. SCMS understands all facets of the broadcast business and has experts to take a project from inspiration to completion. SCMS is a member of VOSB, a Veteran Owned Small Business. SCMS has 18 sales reps and broadcast engineers across the US and Latin America. Sharing International 149 Sharing International is a multi-faceted volunteer Christian NGO, empowering nationals of the developing world in establishing and maintaining local Christian media and humanitarian works through training and mentorship programs led by international volunteer media and medical professionals. Shively Labs 644 Shively Labs, a Division of Howell Laboratories, Inc. For over half a century, Shively Labs has been designing and fabricating FM broadcast equipment for the world’s most demanding broadcast sites. From coverage studies to military quality fabrication, Shively understands that your commitment to your audience begins with our commitment to engineering excellence. SI Media S.r.l 812 SI Media is a private company founded in 1978 as a software house for Television management systems. SI Media provides solutions for Traffic, Playout Automation, Media Asset Management and NewsRoom for TV Broadcasters. SoundExchange, Inc. 131 SoundExchange collects and distributes digital performance royalties (from webcasting and satellite radio) on behalf of nearly 175,000 recording artists and master rights owners accounts and administers direct agreements on behalf of rights owners and licensees. 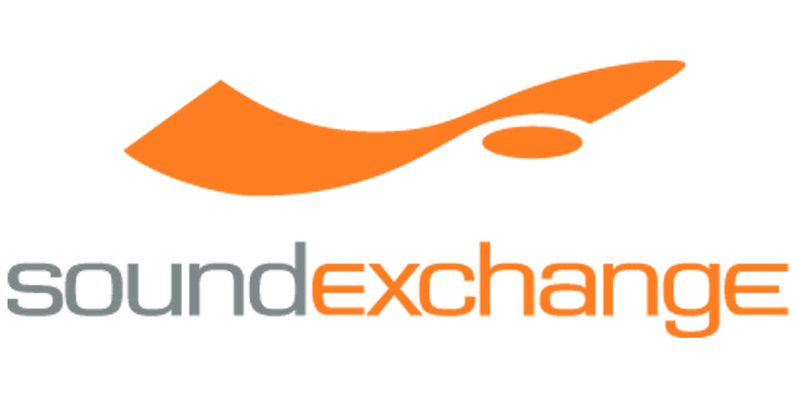 To date, SoundExchange has paid out more than $5 billion in royalties. Strategic Communications Group Voice of Hope World Radio Network 119 Strategic Communications Group’s VOICE OF HOPE - 1287 AM (50,000-watts) is Israel’s only Christian radio station and is broadcasting the Gospel into Israel, Syria, Jordan and Lebanon from the Galilee since March 2017. Strategic also operates two world-class shortwave radio stations - VOICE OF HOPE - AFRICA and VOICE OF HOPE - AMERICAS, reaching over 2-billion people in more than 30 countries. Stream Station, Inc. 132 Stream Station, Inc. is a full-functioning broadcast transmission network and operations center based in Charlotte, NC. Our team brings to the table over 100 years of broadcast and technology experience. We service clients around the world through live-streaming, OTT, VOD, Cloud storage and mobile app development. SuperChannel WACX-TV 512 SuperChannel WACX-TV is an independent full power commercial Christian broadcast television station covering Orlando and Central Florida…“I-4 corridor”, The Villages, theme parks, vacation resorts (70,000+ hotel rooms), UCF and UF—all included in this vibrant and rapidly expanding region. Teen Challenge USA 220 Adult and Teen Challenge offers Christ-centered, faith-based solutions for adults, teens, and families struggling with addiction. The AMS Agency 718 The AMS Agency distributes original content from different media ministries such as: Breath of Life, Faith For Today, It Is Written, Jesus 101, La Voz de la Esperanza, LifeTalk Radio, and Voice of Prophecy. The Chosen LLC 739 The Chosen—the very first, multi-season series about the life of Jesus—is the #1 crowdfunded entertainment project in history. 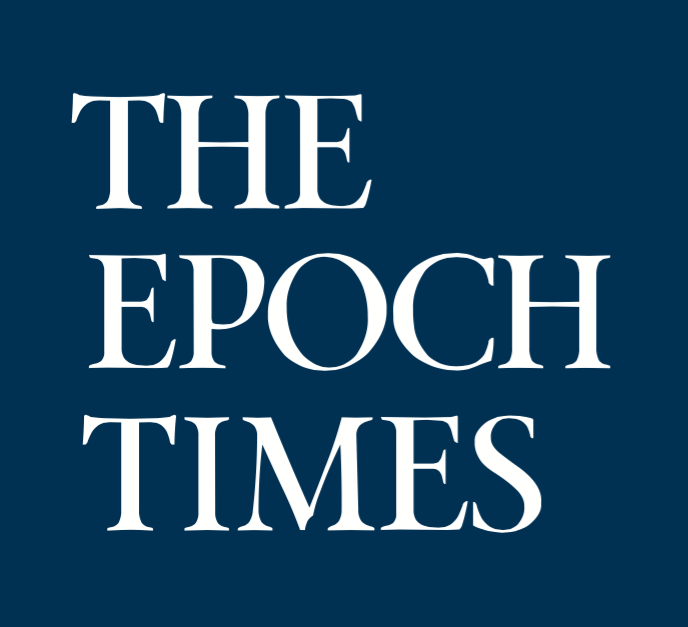 The Epoch Times Southern California 230 The Epoch Times is an independent non profit news company, reporting truth and tradition. The Lukens Company 820 For over 30 years, The Lukens Company has provided expert marketing counsel and multi-channel direct response program management for faith-based missions, humanitarian organizations, cultural institutions, and political committees. Our integrated approach has been transformative for dozens of cause-oriented organizations, helping each of them to raise money, influence minds, and inspire hearts. The Miracle Channel 603 Since 1996, Miracle Channel has been the first and only all-Christian TV station to broadcast in Canada. By airing a wide variety of programming from popular ministries around the world, we have built a community of loyal viewers who turn to Miracle Channel for encouragement and teaching as they pursue a deeper relationship with Jesus. Our channel is broadcasted on dozens of cable and satellite providers, reaching over five million homes in Canada! 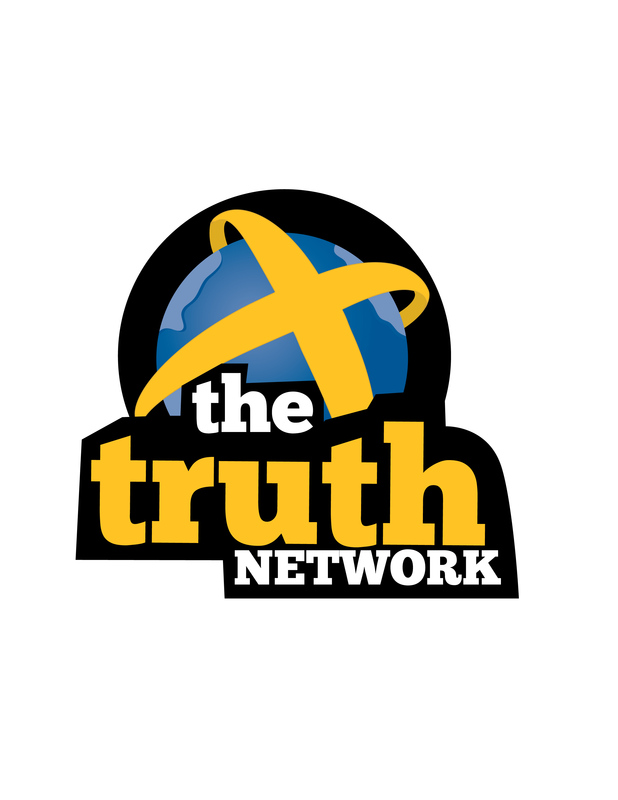 The Truth Network 712 Truth Network is a group of Christian teaching/talk radio stations, a program creator and syndicator, and the marketing arm for the largest digital broadcasting platform in the world, Jesus Daily on Facebook. 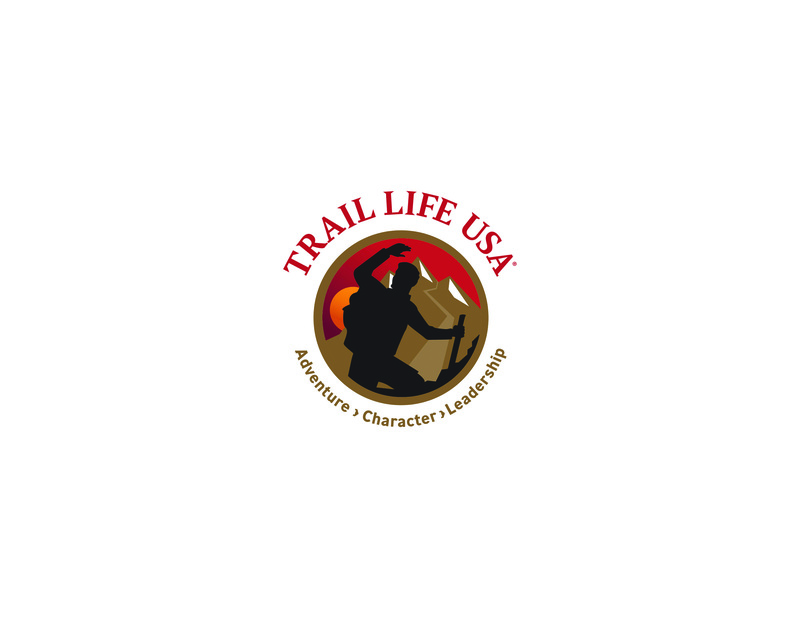 Trail Life USA 622 Trail Life USA is a Christ-Centered, Boy-Focused character, leadership, and adventure organization for boy with 28,000+ members in 50 states and over 800 churches. Trinet Internet Solutions, Inc. 116 Trinet Internet Solutions, Inc. is an award-winning digital agency that serves ministries, nonprofits and businesses from three locations nationwide: Orange County, Dallas, and Washington DC. Trinity Broadcasting Network 445 Broadcasting the hope and grace of Jesus to the world! TV Pro Gear 113 TV Pro Gear is a Broadcast Video System Integration company that designs, engineers and builds TV Stations, Production Studios, Flypaks™ and Video Trucks. We provide production services for a variety of live events including houses of worship, concerts, sports, and product introductions. We also represent over 120 different manufacturers. 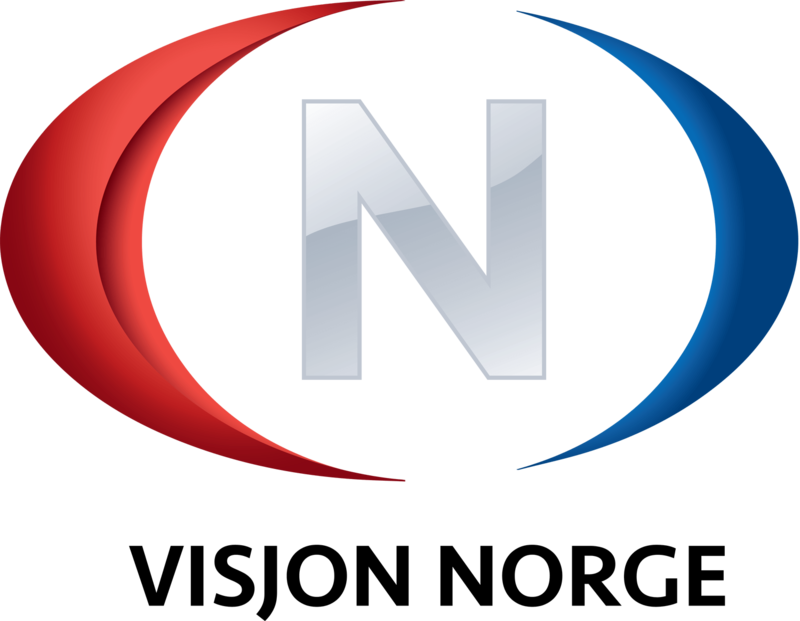 TV Visjon Norge 319 TV Visjon Norge is the largest Christian TV network in Scandinavia. 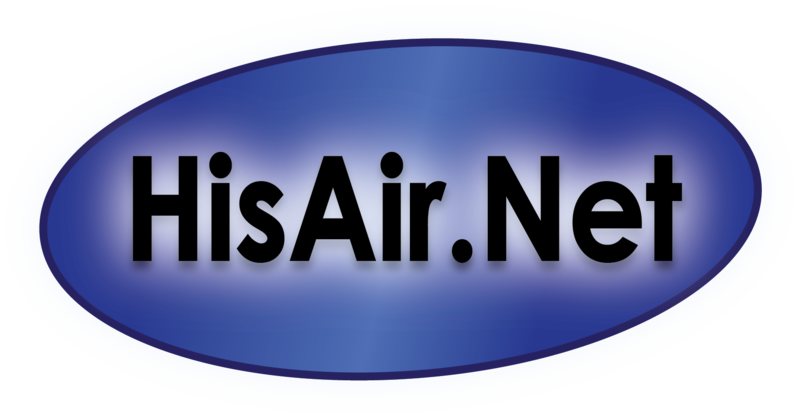 We've been broadcasting 24/7 since 2003. Tyndale House Publishers 733 Tyndale House Publishers is one of the largest privately held Christian publisher of fiction, non-fiction, children's books, Bibles and digital media. 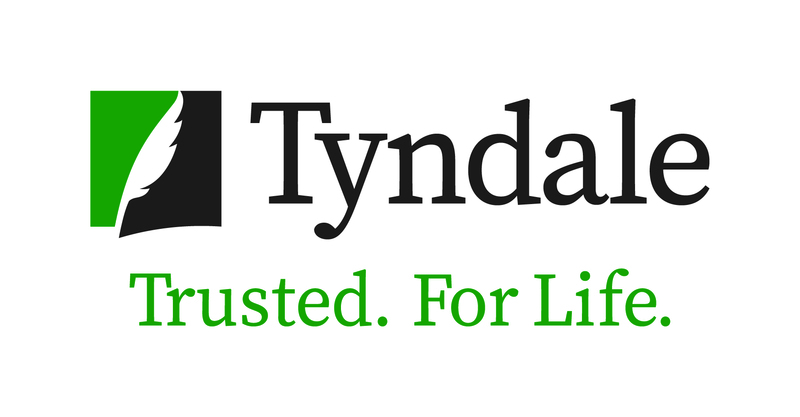 Tyndale House also distributes the product lines of Navpress and Focus on the Family. U.S. Captioning Company 344 U.S. Captioning Company is an industry-leading provider of closed captioning services for local TV stations, religious programmers, and government agencies. We employ hundreds of highly-trained captioners and transcriptionists and work diligently to deliver FCC/ADA compliant captioning to our clients at an affordable rate. Vidolci 815 Vidolci is a customizable ad-free video delivery player. DIY subscription software accessible on web, mobile, and app. Enhance your videos with calls to action, targeted messages, links, and branded framing. Deliver via text, email, newsletter. Uses existing mail program or CRM. Make your video stand out! From $19/month! Virtuous 225 At Virtuous, we are committed to helping charities reimagine generosity. We believe that charitable giving is about personal connections, not sales transactions. Generosity is driven by our passions and relationships – and givers want to feel like they are part of a movement bigger than themselves. We are the Generosity Operating System at the heart of charity. We are the Donor Management System that is putting the joy back in fundraising. Vitec 240 Vitec Production Solutions designs, manufactures and distributes technically advanced products which give broadcasters, film studios, video production companies and independent content creators total confidence in the production equipment they depend upon to capture and share world class footage. Products include video heads, tripods, lights, batteries and specialty camera systems. Voice of Prophecy 111 Discovery Mountain is the Voice of Prophecy's audio adventure series for kids ages 5-12 (though all ages are invited to enjoy it)! The setting is a summer camp in the mountains, and the characters are engaging and fun. Through this program, kids from all backgrounds can get to know Jesus as their personal Savior. Stream the audio at discoverymountain.com, download from your favorite podcast network or air it on your radio station! WATC TV/Community Television, Inc.WATC TV 106 WATC TV serves Atlanta, Georgia and beyond with family, Christian and educational programming. 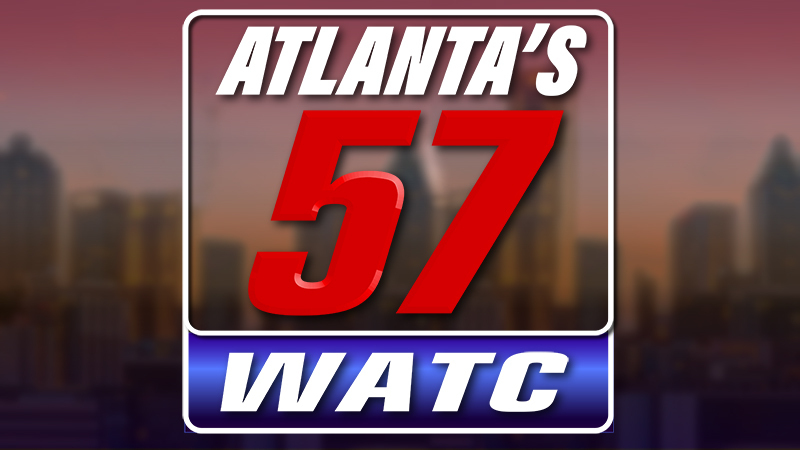 WATC produces such original series as "Atlanta Live," "Babbie's House,""Seniors Today," "Friends & Neighbors," "Gospel Music USA," "Josh & Ashley," and "On The Move." More information on WATC, digital subchannel WATC TOO and the station's First Works ministry outreach work is available at www.watc.tv. We Can 444 A coast to coast bike trek leaving Anaheim, CA at the conclusion of the NRB to bring awareness to Christ-centered transformation centers for men and women struggling with addiction. 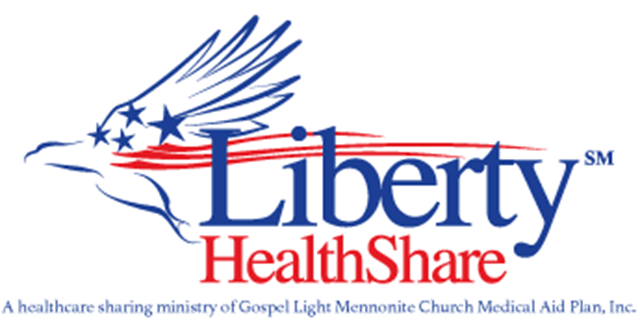 “We Can Together Shift To Greatness” will show believers we are the answer to this destructive and deadly epidemic sweeping America. Wedel Software 226 Wedel Software is an international provider of broadcast software solutions. We provide a fully integrated suite of solutions that make it possible to manage your revenue from initial lead status to completed campaign. Our solutions are modern, easy to use, and fully configurable to meet your specific needs. Wheatstone 218 Wheatstone Corporation designs and manufactures professional broadcast audio equipment under the WHEATSTONE, AUDIOARTS ENGINEERING, PR&E and VOXPRO brand names. Products include digital and analog audio consoles, audio-over-IP networks, digital audio editing hardware and software, signal processing for broadcast, and customizable graphical user interfaces for real-time control of audio network systems. Words of Grace & Truth 124 GraceAndTruthRadio.World is your passport for hearing God's Truth anywhere in the world. We combine the best in Contemporary Christian Music with Biblical Teaching. We give people with great Biblical content an inexpensive platform to take their message to the nations. World Wide Printing 212 WWP specializes in printing on light weight paper (28 gsm), and just about all forms of book binding. We produce genuine and bonded leather, PU, PVC, hard and soft back books. We have printed, bound and shipped Bibles to over 110 countries. www.Bible-Clock.com 824 The Bible Clock is a fun and interactive way to learn the books of the Bible and spend more time in Scripture. Complete with online educational game. USA Made by the 85 year old iconic manufacturer California Clock Company. 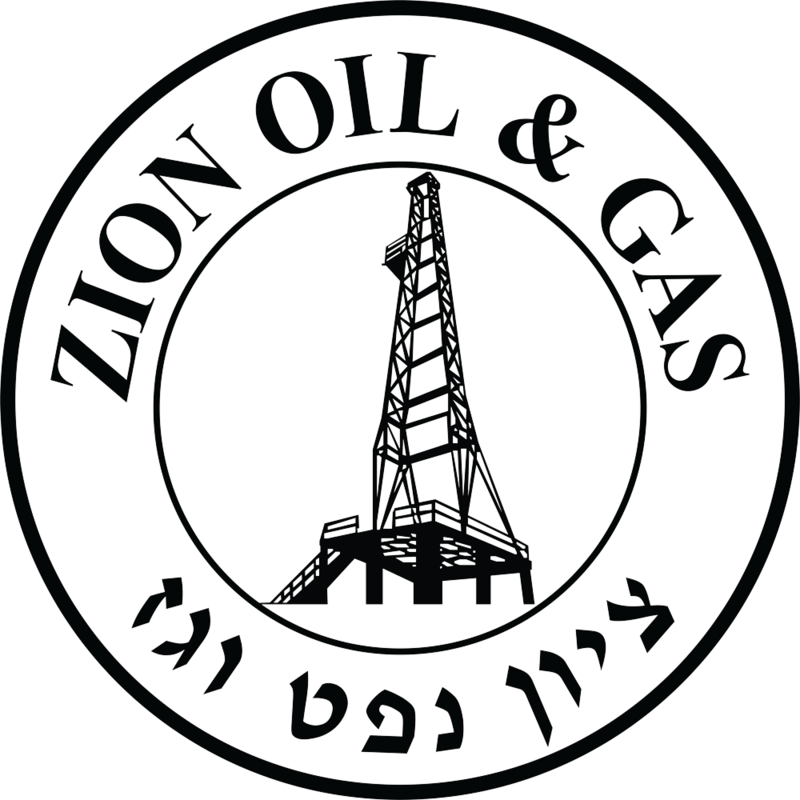 Zion Oil and Gas Inc. 103 ZION OIL & GAS, INC. Exploring for Israel’s Political and Economic Independence. Inspired by Genesis 49:25-26 and Deuteronomy 33:13-16. Zion is publicly traded on NASDAQ: ZN. Zoomer Media Television Division 525 ZoomerMedia Limited is a Canadian Media company which controls and operates a variety of media outlets including multiple radio stations, the annual IdeaCity conference, national magazines, exhibitions and television stations, such as VISIONTV, FAITHTV and JOYTV. ZoomerMedia is the largest provider of Christian programming in Canada.